Were Pterodactyls Too Heavy to Fly? One possible theory is they would rely on thermals to stay aloft having dropped off the edge of a cliff. However, evidence that they could walked for considerable distances has also been discovered. Another theory is that their wings were so large that, relatively speaking, wing load was low. 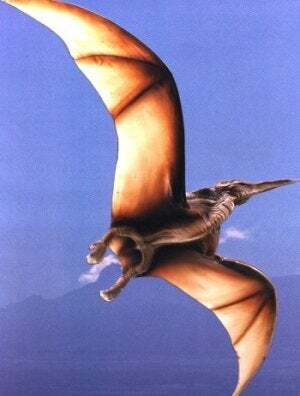 If a pterosaur spread its wings, staying on the ground would have been more of a problem than taking off.